The U.S. west coast ports handle over 60% of all import cargo coming into the United States. Throughout 2014, a number of different factors have escalated and resulted in disruptions to imports coming into the U.S. through these ports. For businesses reliant on imports through the west coast, developing a robust risk mitigation strategy is imperative to navigate through these disruptions. The contract between the International Longshore and Warehouse Union (ILWU), representing the dock workers, and the Pacific Maritime Association (PMA) expired in July, 2014. While negotiations have been underway since May, several ports have seen a slowdown in productivity, which could also be attributed to the later factors. The lack of resolution in these negotiations leaves a constant risk of imminent strike or lockout which could severely impact the U.S. economy. The U.S. shortage of qualified truck drivers has impacted the ability to move containers away from the ports. 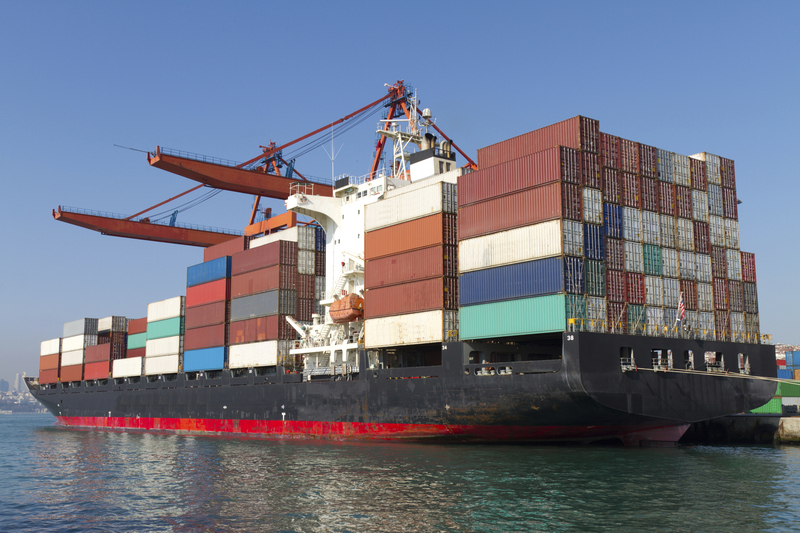 Larger container ships have compounded the situation by requiring a higher volume of unloading and drayage required to move the cargo during the docking. There is a shortage of drayage equipment due to many ocean carriers no longer providing chassis. This has resulted in delays and congestion in moving containers from dockyards. The longshore worker contract dispute is a theme that history has experienced to differing degrees in 2002, 2008 and 2012. In 2002, a lack of resolution resulted in a 10 day work stoppage resulting in an estimated $10 billion impact to the economy and six months to return shipments to normality. The winter of 2013/2014 brought weather challenges into play when extreme cold adversely impacted US east coast ports resulting in westbound import delays. Weather could still play a factor in worsening an already bad situation in 2015. As of writing this paper, delays on the US west coast ports are ranging from 1-4 weeks. The Japanese earthquake and subsequent tsunami of 2011 put into question the validity of certain lean principles when managing supply chains across continents. The aftermath of the disaster resulted in severe disruption to automobile production and has since resulted in decentralized manufacturing and sourcing strategies for components. Some similarities exist in the risk mitigation strategies that can be adopted for the west coast disruptions of 2014/15. Before adopting any strategies, it is important to assess the impact of potential disruption. Understanding this will help apportion the necessary degree to which each strategy is to be adopted. The ILWU and PMA discussions cover the majority of docks on the west coast of North America but not exclusively. Several ports in Canada are not part of these union discussions and as such, are not suffering from the same dynamics. Despite this, many imports have been re-directed to these ports and they too are experiencing congestion delays, albeit not to the same degree as the major U.S. west coast ports. Gulf and east coast ports are also options although with longer transit times and the potential risk that in the event of west coast strike, gulf and east coast workers could support their west coast peers by not unloading re-routed container ships from the west coast. The uncertainty of the situation on the west coast means uncertainty of delivery dates. Although unpopular, safety stock levels should be evaluated to understand the safety time coverage in the event of a major delay. Inventory isn’t always bad in times of uncertainty but keeping balance can be difficult. In addition, transit times should also be evaluated and expanded accordingly to accommodate extra transit time dependent on anticipated delays. While expensive, a strategy recommended by major freight forwarders is mode evaluation, especially for critical, time-sensitive supply chains. While airfreight comes at a significant premium over ocean freight, the cost of disruption to a production line or loss of sale could be far greater. An in between approach could be a partial hold-back strategy, where a quantity of the total shipment is held back at the origin for possible air shipment in the event of a major delay. 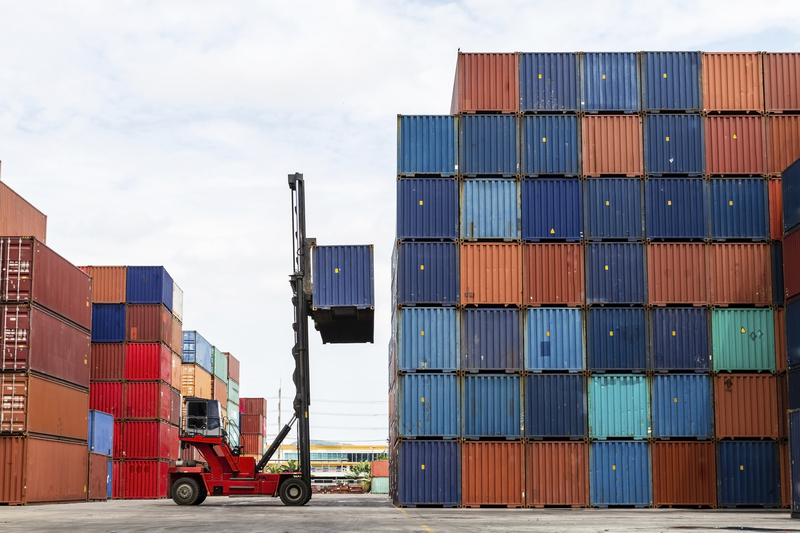 Businesses should drive towards greater visibility within the supply chain. Whether through transparency in the location of shipments, real time data, or other means, tracking shipments is very important to ensure problems are identified prior to them occurring. High-impact orders should also be identified and monitored closely. In some cases, creating a dual source or localizing/near shoring supply can be a way to avoid the entire west coast situation. Even if just identifying potential manufacturing solutions locally, this can be part of an emergency plan for risk mitigation in the event of the situation worsening. With all the uncertainty of supply consistency, ensuring demand accuracy is more important than ever. Enhancing the awareness of the west coast situation within a business is important to attain better and longer demand visibility through S&OP planning. The better a business can predict demand, the better a business can plan supply. Planning for the unpredictable can be a challenging and resource intensive proposition. When considering options, businesses must understand the cost of adopting risk mitigation strategies and the potential cost of not adopting such risk strategies. Even the best supply chains run with a high degree of demand variability, running upstream supply chains across continents just in time can result in extreme disruption when failures occur. The U.S. west coast situation has the potential to cause significant disruption to the economy so identifying and implementing appropriate strategies is critical to navigating a path through this complicated situation.